Daughter of best-selling Christian author Max Lucado, Jenna has realized that she inherited a passion for writing and speaking just like her dad. She writes from her comfy green chair, wearing her favorite grey sweatpants, using her 7-year-old laptop (70 years old in tech years). She does other stuff too – like brush her teeth, make tuna sandwiches, and watches the Food Network. She is married to her husband Brett, and they live in Texas. 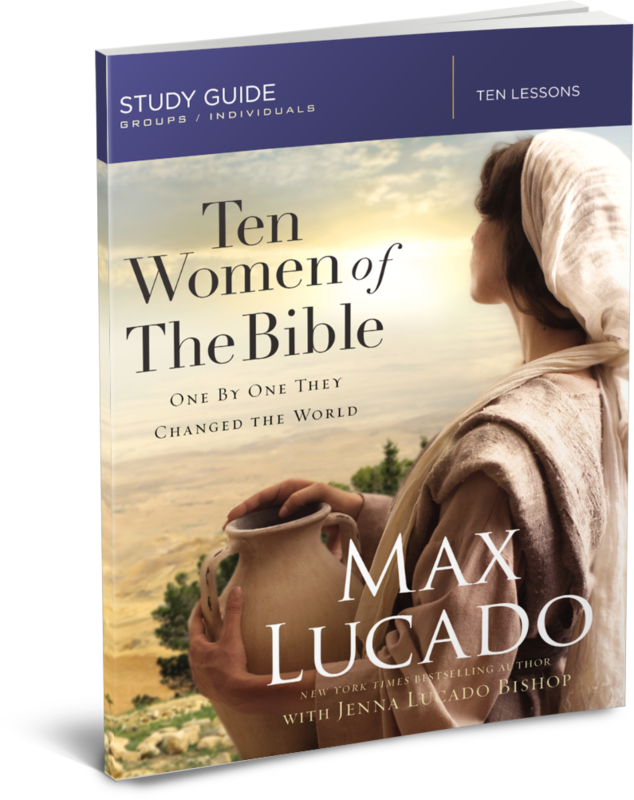 They lived in a different world than ours, and their culture overlooked or discounted their contributions, yet the writers of Scripture found these ten women remarkable to the telling of God's story. They show us there is a God who sees us where we are and loves us for who we are. He shapes lives, rescues hearts, and raises what was dead to life. Each session includes 5 in-depth Bible studies to do on your own between sessions.